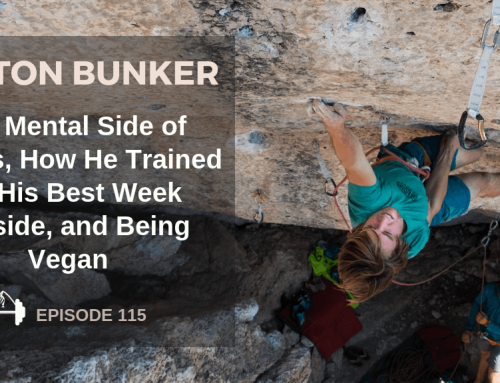 This week, in our ninth mini episode of Ask Kris, we talked about how you can train at home efficiently, no matter what equipment you have to work with. We go through a few scenarios, ranging from a guy Kris worked with who had only a few basic pieces of equipment, all the way up to someone who has a home wall, weights, and other equipment at home. He also gives you a few workouts you can do at home. Farmers Walk (Video) (with kettle bells or dumbbells) : 1 minute with 50-100% of bodyweight total. Take quick breaks if absolutely necessary. 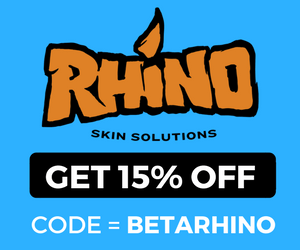 Want Help With Your Training? If you want 3 complete workouts every week to get you stronger and help you stay injury free, check out our most popular training programs written by Kris Peters. 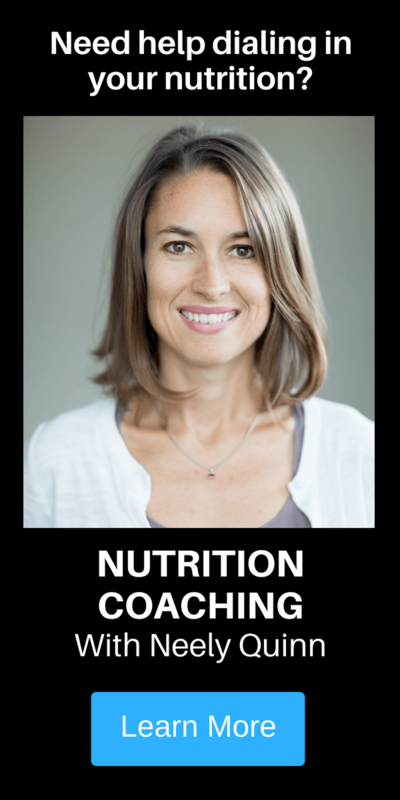 Neely Quinn: Welcome to the ‘Ask Kris’ series of the Training Beta podcast. 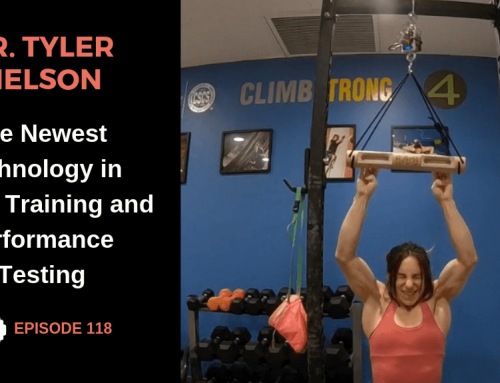 I’m your host, Neely Quinn, and today we’re on episode nine, where I talk with our trainer over here, Kris Peters, about a specific topic of training. Today’s topic is how to train if you don’t have access to a full climbing gym or even a full gym. It’s for people who are training at home for whatever reason. Maybe they don’t have a climbing gym in their area. Maybe they don’t have time. 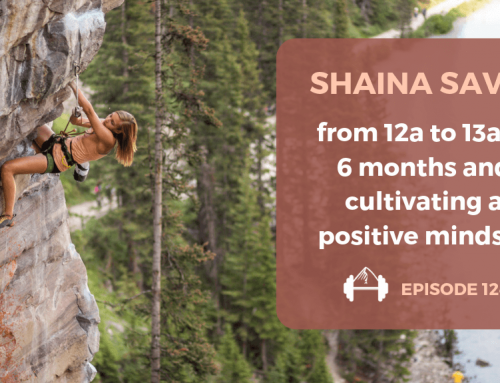 We go through a few different situations that Kris has actually worked with people in, ranging from somebody who has very, very little equipment at all and no climbing wall, even at their house, all the way up to people who have a lot of equipment or a moderate amount of equipment and they also have a home wall. Kris is going to tell you what he thinks would be optimal to have at your house if you’re going to just be working out there. He also will give you a few different workouts. 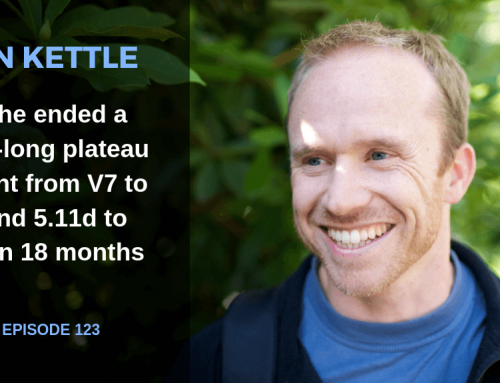 Also, he wrote up a really great workout for you and that’s on this episode page. 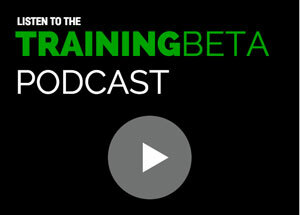 If you go to www.trainingbeta.com you’ll find it in the podcast area. Here’s Kris. I hope you enjoy this interview. Neely Quinn: Alright, welcome back to the show, Kris. Thanks again for being with me today. Kris Peters: Hey, Neely. Hey everybody. Neely Quinn: Today we’re talking about how to workout if you’re at home and you don’t have a full gym. We’re hopefully going to cover circumstances, or situations, that people might be in. Neely Quinn: Let’s start with the sparsest situation. Give me an example of a person who you worked with who had very little equipment. Kris Peters: So, one person I worked with, all they had was a Beastmaker hangboard, a kettle bell – which was like 10-pounds, I think – two, 10-pound dumbbells, and a set of rings. That’s all they had. They were in a tiny little apartment and that’s all they had access to. 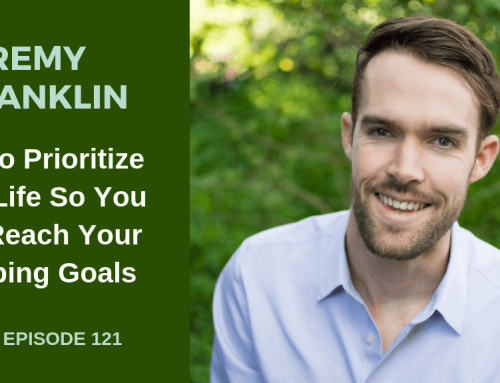 It was one of the most limiting ways for training for someone I’ve ever seen. [laughs] I told them, “You need to buy this, this, this, and this.” Some people, this is all they have. They don’t have access to even a woody. They don’t have anything to climb on other than they just go outside, which is still a far drive for them. Neely Quinn: Yeah. So what did you do with this guy? Kris Peters: We created some hangboard-specific workouts and then, essentially, we wanted to make as many circuits as possible for this client. We’d have our hangboard day and then the next day was like, “Here’s what you have to work with so it’s obviously going to have to be very body weight specific.” Different movements like a power jack or a plank jack or a dynamic push-up or a dynamic pull-up. Kris Peters: It’s just movements that you’re in the push-up position and you’re creating explosive movements with your legs, just trying to create power. For this client, because they wanted to work on their power, I was trying to do movements that were athletic and explosive since they were so limited. I’m trying to make them as athletic as possible with what they have available. Those are just fitness movements that I’d have to show a video for some people to know what that is. Or you could look it up on Youtube. It was challenging and this person was plateauing at V4. He wanted to climb 5.12 but he couldn’t do 5.11b, or .11a was very, very hard for him because he didn’t have a climbing gym or walls or a bunch of surface he could do, or even a systems board. Some of the hangboarding, then it was just trying to mix it up a lot. If today was a max strength day then tomorrow’s repeaters to work on that pump, and they did see improvements, but it’s going to be more challenging than having a climbing gym. You can have ways to go about what you have and still get some sort of gains or benefits from limited equipment. It’s just understanding how to organize it. Like, here’s what you have, here’s what you have to do – I’m just making this up, so say, “Do 200 pull-ups, 300 push-ups, 400 sit-ups. Go. Do it as fast as you can.” That is something that’s just very high intensity, it’s body weight specific so it’s not going to put any bulk on a climber. It’s just trying to make him stronger. We just had to make him physically stronger. We couldn’t really do that with weights because he had none, so it’s just like, “Okay, how do I stress the body enough to really see some sort of change in their physical abilities?” Just adding types of stuff like that into the mix was pretty helpful for him. Neely Quinn: What happened with that guy? Again, he’s climbing well. He’s getting better but it’s not as quick of a process as we would like it to be. He’s still seeing results in his abilities to climb harder. He’s seeing differences in his body when he’s outside, he feels stronger, he feels more fit and his fingers are getting stronger, obviously because he’s doing hangboarding, but it’s still a process when he goes outside. It takes him a few days to kind of get his climbing back because he’s just never on a wall. Neely Quinn: Yeah, that’s just so crazy, to never be on a climbing wall. Kris Peters: Yeah, it’s tough. Neely Quinn: Okay, cool. So let’s move on to situation two, which is a little bit better than that. Maybe they have a woody or something. Kris Peters: Yeah, most people will have some woody or a home wall that they built. This can also be sometimes tough because if you’re good at setting, this can be a very beneficial thing for you but if you just get a bunch of holds and you put them up on the wall – people will send me a photo of their woody and I’m just kind of looking at them, like “Okay, what’s the set-up? What do you have on here?” and some people may have a good system and they have good routes on there, but some people just put a bunch of holds on there and say, “Okay, what do I do?” That is another challenging part of having to create your own boulder problems or your own circuits. That can be a challenging thing for some people, on how to make it flow well. When anyone has a woody I usually try to find out how big is it? How many moves from the bottom to the top? How much space do you have? Can you do a circuit? Can you do an around-the-world? Are there set problems on there? Based on all those circumstances, then we can create a program. Most of the time, for most people, what we see is we do a lot of circuit training on their woody. Five minutes on, five minutes off and, again, this is going to be just as beneficial, in my opinion, as having a gym because you have holds, you have a wall. As long as the angles work and you have something that is a little steeper, you can still get great, great benefits from having your own climbing space like that. Typically what I’ll try to do with those guys is you can’t really have a project day unless they have a big enough woody with set routes that they’ve made and they want to send. For the most part, for most people, it’s just a bunch of holds on the wall so we create different circuits, we’ll create timers, like, “You’re on here for five, or on for 10,” whatever that is. We’ll create workouts like that. For clients that do have a good ability of creating their own problems then we can go more into projecting. We can be like, “Okay, let’s work on some of these hard movements. Let’s get more extended or more explosive or let’s work on a hard crimp move.” You can kind of get a little more descriptive with those workouts when you have a woody that’s set-up that is very well put together. If you have your own woody, if you don’t know how to set, I would recommend you maybe find someone in your area that is a setter or enjoys that stuff. Look into maybe having them help you out, setting up different routes and styles for you that could benefit you for your weaknesses and your strengths. When you have a woody we can go a lot more in depth. We can create a program that is like, “Okay. 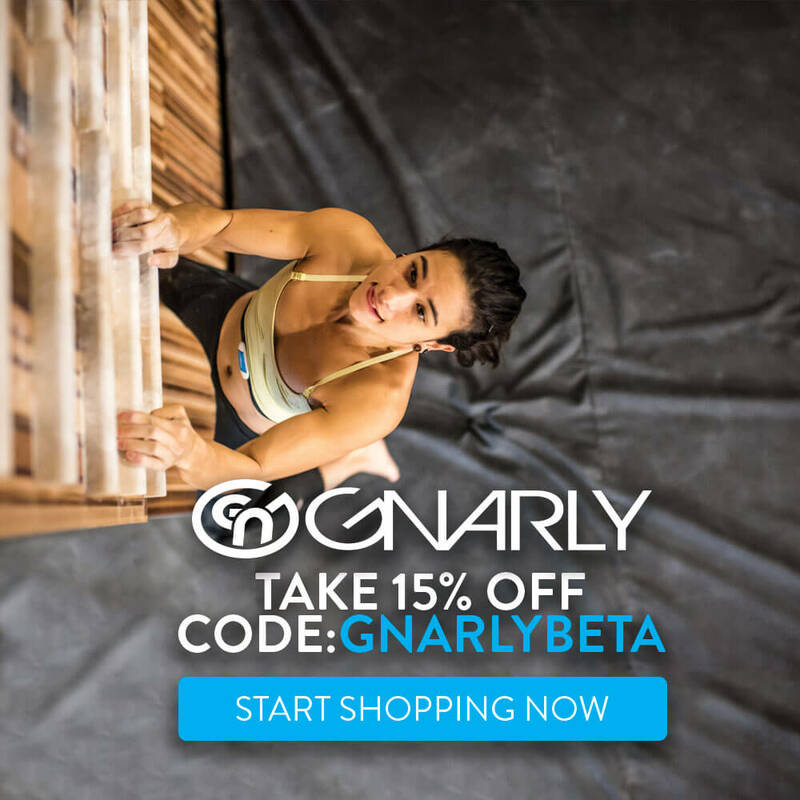 This is your climbing day, here is your fitness day, here is your hangboard day.” It does give a lot more to that athlete to have that climbing space. 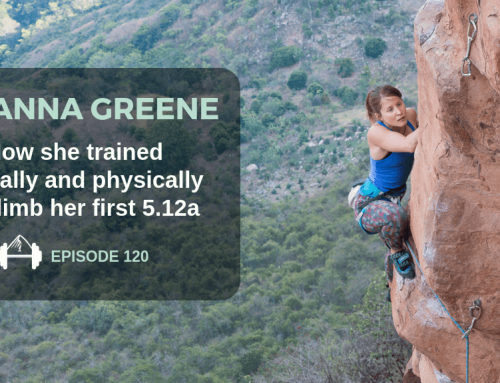 Neely Quinn: You could have a person training on a woody for routes or for boulder problems? Kris Peters: Personally, yes. I do believe so because I just think it’s about maintaining that intensity for what we’re trying to work for. If we’re trying to work for a route, “Give me 50 moves. Go.” or “Give me 30 moves. Go.” We’ll create that circuit where it’s like 30 hard moves and then you’re off, shake it out and do it again. For bouldering, let’s focus on hard movements. I want four max movements, and based on the client, they’ll tell me what they’re bad at. “I’m really bad at pinches,” or “I’m bad at slopers,” or “I’m bad at crimps.” We’ll try to create that stuff on their woody. 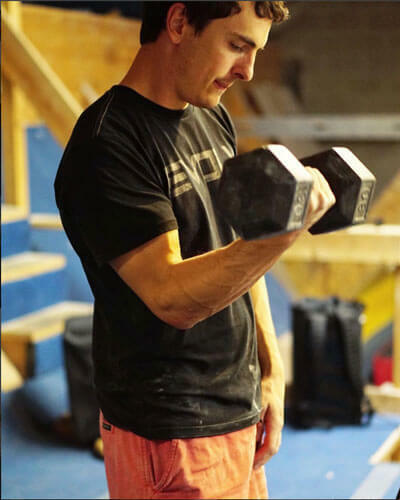 Set-up a crimp, set-up a sloper and we’ll create this type of movement that you struggle with so they’re working that, trying to get that muscle memory down and train their body to perform better on those type of movements. Neely Quinn: That is one good thing about having a home wall, is that you can set simulators for anything. Neely Quinn: I wish I could do that. If somebody does have a woody or a home wall, what else would you want them to have besides that? What would be optimal? Kris Peters: Optimal kind of depends on what they can afford. Optimal, I would definitely say a set of dumbbells from 5-25 or 30 pounds. Obviously, rings are a great, great tool to have at your home. Easy to set-up and easy to hang. As always, the TRX system. I would also say some sort of foam roller so you can work on your flexibility and work on rolling out your muscles. That’s always a really good thing to work on like that, you know? Flexibility and recovery. Bands are a very easy thing to set-up. Most people normally don’t have a lot of room for big weights like barbells or things like that, that take up a lot of space, so you want to keep it all smaller. Again, get a set of dumbbells, bands, if you want to go kettlebell, some people really enjoy that. If you have a set-up and you have a hangboard I would highly recommend putting together your own pulley system, creating that somehow. Just having those rings, those TRX machines, and just hanging them off of your hangboard somehow. If you have a pull-up bar you can hang them off that. Those are the main things I would definitely say people should have if they only have a home gym. Neely Quinn: Can you give me a workout with all of those things? Like, give me a sample workout that you would have someone do. The goal was to complete 2-3 laps and then change direction. I don’t want people to just do the same direction the whole time. It’s kind of like a track if you just run one direction the whole time. You want to switch it up where you’re moving both directions. I’ll tell my client, “Okay. Do 3-4 laps in one direction, shake it out and go again. 3-4 laps in one direction, shake it out and go again.” Five minutes there and then he would jump off his woody and he had a setup of exercises. You’re on the rings for a minute, you have extended push-ups, where you do a push-up, you extend one arm out, come back in and you have to do that for a minute. After that, you have to do pull-ups for a minute. Right after that you have burpees and after that you have planks for a minute. Trying to hit all the facets of his body, so trying to hit the cross training strength and the push-ups and his pull-ups/that pulling strength, working on his core, and then after he completed all of that he’d have a set rest time. He’s limited to an hour so that one set is going to take him 10-11 minutes to complete one round, so we usually try to say, “It takes you about 10-11 minutes so rest 3-5 minutes,” so he might get in 3-5 sets of that. Afterwards he was really wrecked. He felt really good, he felt fit, he felt strong, so he just didn’t have the time to dedicate hours to his home gym. He was like, “This is all I have. I get home from work and I have an hour to workout, 3-4 days a week. Just beat me up,” so that was an example of one of his workouts. Kris Peters: It doesn’t, it doesn’t. You can do so many workouts that don’t require weights or barbells or treadmills. You can easily get your heartrate up or hit every part of your body just by having a little bit of simple stuff. He had a woody, he had rings, he had a TRX, he had a mat to lay on so he wasn’t laying on concrete, and then I think he had a couple dumbbells. We just kept it body weight specific. As far as rings, you can get very creative on rings. As anyone knows, the TRX is a great, great tool and then just doing different movements with your core without any equipment can be challenging as well. He would just be worked after those workouts. Neely Quinn: Did you say how much rest there was in between sets of those circuits? Kris Peters: Usually 3-5. When people are limited on time, I try to give them that range of 3-5 minutes so that way they can recover but also they get enough work in for that hour-long session. Neely Quinn: Say somebody did have a full set of dumbbells, from 5-35 pounds. What would you have them do with those in a workout? 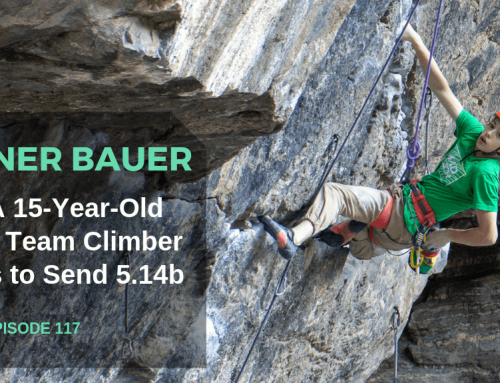 Kris Peters: I would definitely focus, for climbers, on that shoulder strength. I would work on negatives for just working that extension movement on the way down. There’s a lot of things you can go and tap into the body, physically, when you have a good variety of dumbbells. If they’re going to be climbing I’d probably have them do isolation stuff to really focus on this part of the body instead of making it a circuit-based thing. That – with those weights, you can really hone in on certain parts of that athlete and make sure those areas become a focus and become stronger. Obviously, the more equipment you have, the more you can hone in on your weaknesses and really focus on those parts of your body to really address those needs. Neely Quinn: Can you give me three, sort of exercises that they might try? Kris Peters: I would work on – let’s see – concentration curls for your bicep, just isolating the bicep. I would work on a one-arm dumbbell row and then, I think one of my favorite ones would be reverse flys. 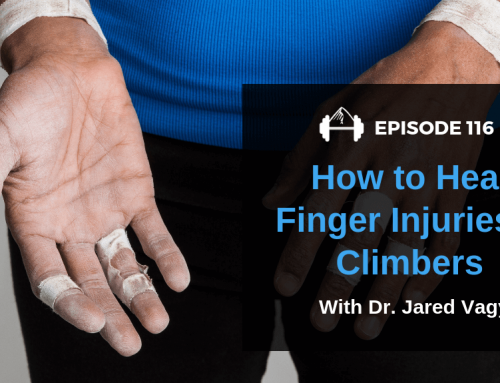 Really, kind of, hitting the three main areas that a climber needs in their strength. Bicep to pull and that rear posterior chain in there. 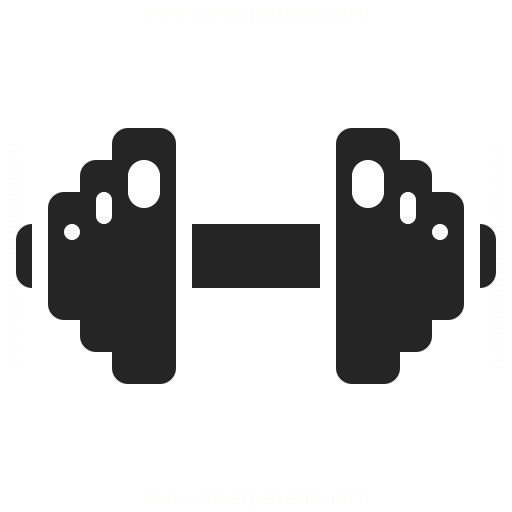 Those are three great lifts, if you have the dumbbells, to really make sure those are effective movements, I would definitely say I would put that into a program, for sure. Neely Quinn: That’s great. I’m trying to think – are there any other situations that we’re not – oh wait, I had a question. You think that the deadlift is a really good lift for climbers in general, correct? Neely Quinn: If you only have dumbbells, what would you do to replicate that? Kris Peters: You could do a dumbbell deadlift. You can still do that movement. Now, it’s going to be a little different. I think Neely, your best deadlift was about 155 maybe? Is that what you were doing? Neely Quinn: Oh my gosh no! It was 135. Kris Peters: Are you sure? I could have sworn we put more weight on that. Kris Peters: Think about it like this: if you have 140 pounds, I don’t know if you’re going to be able to grab two, 70-pound dumbbells. You have two separate weights and each hand is holding it’s own so it’s a different feel than how we’re holding a barbell. It can be a little more challenging to have the proper dumbbells to do that move but you still can. You can still do a dumbbell deadlift. Do I think it’s as effective? You can go either way. I, personally, prefer a barbell but if you don’t have that you can easily do it with dumbbells. Another thing I really like is thrusters for climbers. I think thrusters are a great movement. Thrusters are basically you have the barbell or dumbbell at shoulder level. You keep your elbows up high. You drop into a squat but the whole idea is to explode through your legs and propel that weight over your head. It’s a very powerful movement. If you don’t have heavy enough weights to make a good deadlift, I would highly recommend thrusters, either with a barbell or a dumbbell. Neely Quinn: That’s great. A cool alternative. Kris Peters: I think you would really like that move, too, Neely. You should give it a try sometime. Neely Quinn: Yeah, I have been doing that, actually. We’re way over time so I’m going to stop. Neely Quinn: I think that was good. I think that gives people some good workouts to do. Kris Peters: Yeah, and if you guys/anyone out there has limitations to just having a home gym or just having their own equipment or they don’t have a chance to go to a climbing gym/they’re on the road, let us know. We’re thinking about putting together a program addressing the needs for climbers who don’t have a climbing gym. If you guys are interested in that, we’d love to hear. Say, “Yes, we want that,” so we can get that going. 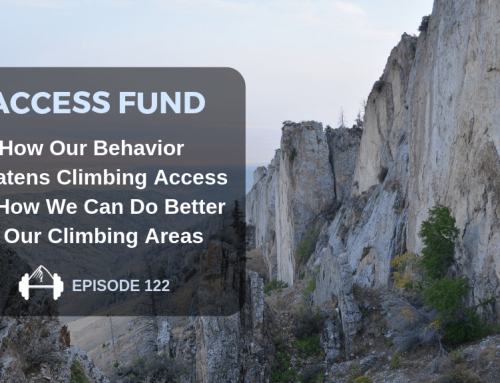 It’s something Neely and I have been talking about that we think a lot of climbers need. I’ve had climbers in Australia that are like, “The closest climbing gym is four hours away,” so they never get there. Again, if that’s something you want you guys, let us know so we can make that happen for ya’ll. Neely Quinn: Yeah. Give us feedback. Okay, thank you, Kris, and I’ll talk to you soon! Kris Peters: Thanks, Neely! Alright see you guys! Bye. Thanks for listening to that interview with Kris. I hope that you gained some information that’s useful from it. If you want to train with Kris, unfortunately he’s not doing online personal training right now. He’s taking a little bit of a break but in the meantime, if you want to do some of his workouts and be on a plan that is by him, we do have programs that he created. We have our ‘route training’ program and our ‘bouldering training’ program. Both of those are subscription programs where you get three workouts every week. Those are about $15.00 a month. He also has created our six-week ‘power endurance’ program and that’s for boulderers or route climbers. You do need a gym for all of these programs. Like I said, we’re thinking about making a program for you home trainers but for now, this is what we’ve got. All of those programs, we’ve seen a lot of success with people. You can find those all at www.trainingbeta.com. Again, thanks for listening all the way to the end. I really appreciate it! I’ll talk to you next week. Have a great week! I enjoyed this podcast. I am also very interested in more home training material. I currently have a wall in my garage but don’t live close to any gyms or outdoor spots. I’m a father of 4 so time is precious to me. Looking for ways to maximize my time in the garage to gains that translate to actual climbing. 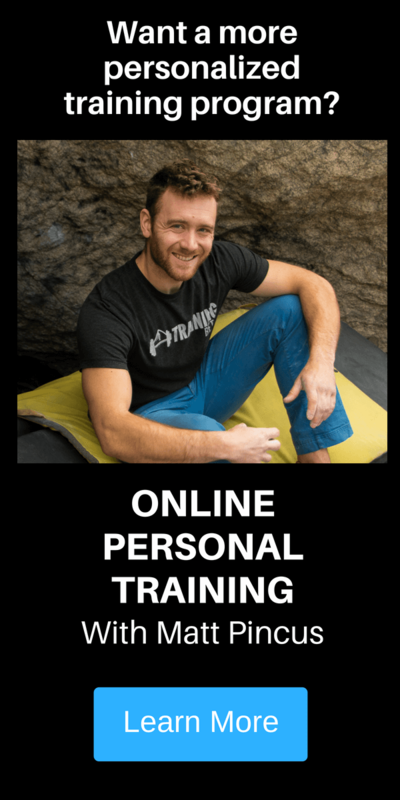 Listened to your mini-podcast about Home Training, and wanted to let you know I am VERY interested in a program for Home trainers please. 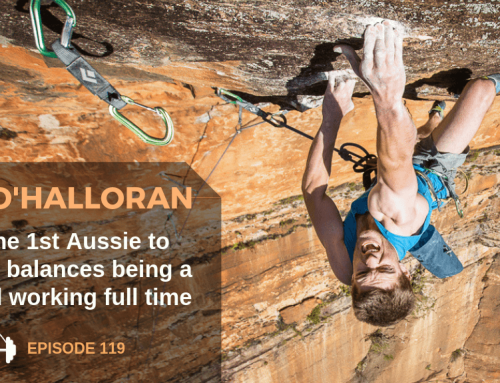 I live in the NW of Australia, more than 1,500 miles from the nearest climbing gym. I DO have mini hang board, TRX & Rings, 20kg kettlebell, and can visit a bloke’s barbell setup (he has a squat rack and bench, and good selection of DBells). Only working here for 9 months, so not worthwhile to build a woodie. But there is a limestone gorge nearby, so I want to get strong, so that I can drag any passing climbers out there. It’s tropical hot here, so just starting about 7 months of hot weather, as head into “the Build-Up” of humidity. So I want to build myself up too, and escape to cooler Southern cliffs mid-Summer, for a climbing challenge in Tasmania (Cape Pillar). Any help will be greatly appreciated.